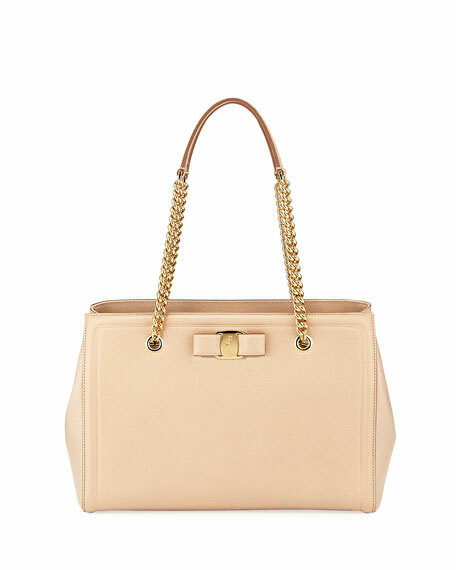 Salvatore Ferragamo tote bag in scored calfskin leather with golden hardware. Chain and leather shoulder straps, 8" drop. Divided interior; open top with tab-through closure. Exterior, signature Vara bow at center front. Interior, center zip divides compartments. Two zip pockets; two slip pockets.